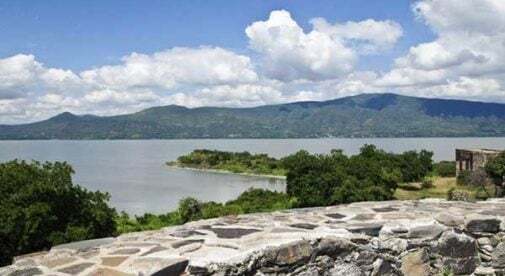 Lake Chapala, Mexico’s largest freshwater lake, is surrounded by expat-haven communities. After years spent searching for her perfect overseas retirement destination—a quest that had her visiting Ecuador, Belize, and Mexico—CheryLynn Ferrari, 63, found exactly what she was looking for. After visiting the area and getting to know the people in the Chapala and Ajijic communities, she was convinced she had found her new home. Just as CheryLynn was about to return to Florida from her visit, she saw a note on a local bulletin board, advertising a house for rent. It sounded perfect, but she didn’t have time to see it before she left. “When I returned to Florida, I contacted the owner and asked one of my newly found friends in Mexico to take a look at the place for me,” CheryLynn says. CheryLynn quickly began unhitching from her Florida life. She obtained her Mexican residence visa, sold most of her possessions, loaded her van with her most important stuff, and drove to her new home in Mexico. “I know that friends and family back in Florida worry about me. But the truth is, I couldn’t feel safer. All of us here chuckle at the notion of any serious crime in our area,” says CheryLynn. “We all watch out for each other. Life here is actually quite wonderful, but I still have a few challenges. The primary one is learning Spanish. I am improving, but it can be frustrating. Fortunately, the locals are quite patient,” she says. The small towns of Ajijic and Chapala are nearby and have a number of doctor’s offices, as well as at least four clinics. CheryLynn says that a normal visit to the doctor will cost between $20 and $50, depending on the specialty. Dental care is also very professional and inexpensive. Fillings, for example, may cost as little as $30. CheryLynn says there are more fun things to do than she can possibly get to in any given week. In fact, she says she has to schedule days to stay home and relax.